Man’s constant thirst for improving and upgrading has never been quenched. The process of turning a house into a home involves looking for novel, innovative, unique DIY home improvement ideas. These most definitely will add some interesting twists to your lifestyle. 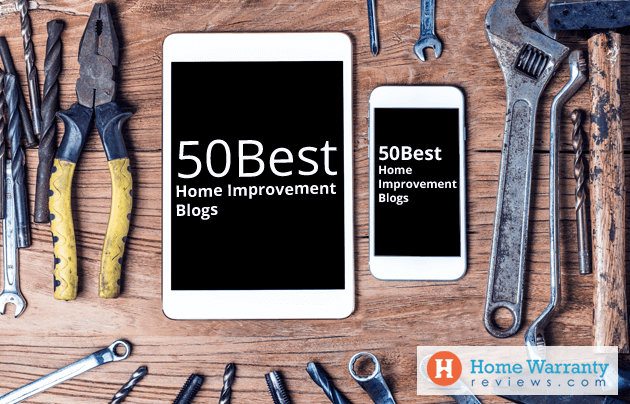 These are the top 50 home maintenance blogs and easy home improvement blog ideas. In an attempt to make things simpler and a whole lot more fun, we have made a list of the 50 Best Home Improvement Blogs that you could turn to for inspiration. These blogs are equipped with detailed tutorials, inspiring projects, product recommendations and lots more. Find ideas and tips for every nook and cranny of your house browsing through this list of the best home improvement blogs. The team at Apartment Therapy created this blog with a mission to help people make their homes more beautiful, organized and healthy. The blog connects them to a wealth of resources, ideas and the community online. With a strong belief that basic elements of best home design blogs can be learned and achieved by all, the team at Apartment Therapy continue to inspire. Apartment Therapy also features a Marketplace with extremely tasteful home décor and vintage products. These cater perfectly to a community that loves good design. House tours, design ideas, organizing and cleaning tips are a few of the many areas this blog could help you with. Cassidy at Remodelaholic believes in the 5 R’s-Reduce, Reuse, Recycle, Remodel and Re-purpose. You could build yourself a beautiful outdoor sectional sofa, find plenty innovative ways to repurpose scrapped plywood and even pick up a few IKEA product hacks. Discover ideas and projects along with videos if you are looking to remodel with a tight budget. PrettyHandyGirl is for all those who wish they were handy and could make their own repairs, upgrades or truly do it by themselves. Not to worry if you are new to this department. You will find detailed tutorials about home improvement sites, home repair, decor, craft and sewing to help you over the newbie hump. Brittany, founder of the blog, over a period of time, has now amassed quite a few power tools. Her mantra is that if someone can do it, then there is a 95% chance that she can do it too, and so can you! Join her and bear witness to some of the accomplishments and pitfalls of doing it yourself. Power couple Sherry and John bring to you, Young House Love. Find refreshingly unique DIY ideas, books, and products available at your closest Target and Home Depot stores. Discover Podcasts you can listen to if you are constantly on the move. Popular home improvement sites include ideas to make your kids room a whole lot of fun, the pros and cons of installing an irrigation system and plenty more. This blog is just the right one if you wish to create the home you’ve always wanted. It acts as a platform for home renovation blogs and design. It brings homeowners and home professionals together in a uniquely visual community. Discover multiple design ideas and find home professionals and products for your home from this blog. Whether you are starting a complete kitchen redesign or just looking for the perfect bedside table, the Houzz community of homeowners and professionals is there to help. When you are ready to start your project, Houzz is one of the best ways to get inspired. Discover products and find and collaborate with the perfect architect, designer or contractor. Looking for tried, tested and trustworthy home advice? Bob Vila promises nothing less. An exciting array of Bob Vila products are available accompanied by tutorials on how to use them. You could also check out their web series Building Green where Bob focuses on green projects. These projects embrace the cleanest and most efficient technologies. At Home Adore, you will find yourself at the liberty to pick and choose from a long list of Interior Home décor styles. We guarantee that you will be tempted to draw up your own home improvement plan once you get a good look at the beautiful photographs on their site. Find interesting furniture products that will most definitely spice up things at home. 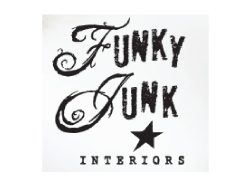 Products offered include funky graffiti furniture, unconventional dog beds and plenty more. Discover modern bedroom makeovers and amazing styles for every kitchen. You could also learn beautiful flower arrangements for your lovely home. Get inspired by some magnificent bedroom makeovers. Learn tips, tricks and hacks to make things around the house a lot more efficient. Established in 2006 as one of the first design blogs in the world, Decor8 is a thoughtfully edited interior design, travel, and lifestyle website. It features stories and products that will keep you inspired and in-the-know on topics you love the most. Founder, Holly Becker, offers exquisite tips and ideas on how to make your home interiors chic and trendy. All articles are accompanied by stunning photographs. Headed by the Smith family, the blog is a collaboration of home DIY, decorating and attempts at tackling projects. Join them as they tick off things on their very long ‘to do’ list, one space at a time. If you wish to turn your house into a space that your family would love to spend some quality time in, then don’t look any further. The Smith family will come to the rescue with their blog that shares a variety of home design styles. Browse through and explore multiple possibilities of renovating any and every space in your home. It could be the kitchen, the bathroom or even for that matter your closets and storage. Spaceio does not disappoint. The blog features repairing tips, techniques of home remodeling blogs and design ideas that will give an edgy new look to your home. Their online shop provides a wide range of products for every room as well. The Family Handyman is a part of the Reader’s Digest Association family of brands. It offers a variety of print and digital resources for do-it-yourself homeowners. Family Handyman is one of the best home improvement blogs. This is due to their forte of providing accurate and complete how-to instructions for improving your home, yard or vehicle. Designed to help first-time DIY’s and homeowners who have not dappled with such tasks before, Family Handyman is a great place to start! Donna of Funky Junk Interiors had some serious budgetary constraints. She started creating cool, exciting and super creative hacks out of salvage finds. With a goal to furnish her home in the best possible way, she ended up producing a variety of one-of-a-kind creations. This blog also gives you the possibility of buying these creations and spicing up your home décor – fun and unhindered. This blog is produced and edited by co-founder Skaie Knox. HomeJelly videos are packed with simple and doable home improvement and decor how-tos. Also find design inspiration, green-friendly repurposing and refurbishing ideas. Delicious and simple recipes along with the latest gadgets for the budget-mindful homeowner and renter are also featured. Home Jelly features tips to renovate and create quirky and funky products to embellish your home. Plenty of visuals, before and after the changes, will surely get you inspired and show you all there is to home improvement. Find step by step video tutorials providing tips and fixes in the home department. Articles include home hacks for hiding spare keys, ways to clean window blinds, tips to safely pack and move glassware, and plenty more. The team at Old House Web have been publishing since 1999. Their goals have been very clear since the very beginning. Aiming to create the best story collection ever assembled for old-house enthusiasts, the team carefully curates and edits their posts. They publish how-to stories, features, design ideas and first-person old-house adventures. 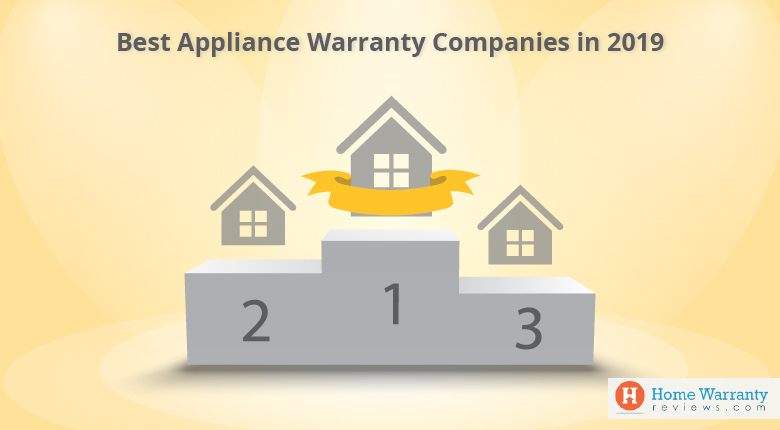 Creating the most detailed archive of information available about products for the old house, it also provides companies that supply these products. The blog provides creative ideas and advice for old house enthusiasts. A special Green Guide section catering to the environment-friendly is also available. Their ideas and project plans are centered around the creation of a fun and friendly community for old house lovers. Also, Old House Web also acts as a place where enthusiasts can swap questions and solutions. Discover the latest trends in home improvement with a DIY Network. A number of articles, How-to videos offering advice and DIY ideas focusing on upcycling to ensure a cleaner, greener world can be viewed on the blog. For over 80 years, Interior Design magazine has been the essential design authority for every professional and on all projects. The blog features a number of articles in the office and hospitality departments. You could pick up design ideas that bring unexpected perks to the office table. You could also get up to date with the latest in the hospitality department and plenty more. Find some of the finest designs for your home along with an exclusive glimpse of behind the scene action of home improvement projects. Currently Freshome clocks up an impressive 3.8+ million unique monthly visitors. The site provides daily inspiration and advice to those who are seeking to improve, organize and style their homes. It possesses an archive of 7000+ posts featuring over 90,000+ images of great interior products and architectural projects. It is no wonder that Freshome has one of the most engaged online communities on the net. Design and decorate with products suited for any and every room in your home! No need to get tensed over budgetary constraints as this blog also offers amazing, cost-sensitive home improvement plans. You could also seek some advice from a section solely devoted to reviewing a range of products and accessories for your home. GoodHousekeeping.com is here to tell you what you need to know today. It will connect you with real-life experts to get things done and have fun doing them. The blog will help you keep your to-do-list manageable and find inspiring-but-easy changes to make in your home. Also sprinkled in are inspiring stories, funny anecdotes and lots of stunning and informative pictures. Don’t be surprised if you find this blog featuring on multiple best home improvement blogs articles, it is one of the best! Get exciting product reviews and embark on a variety of DIY projects and crafts with the Good Housekeeping Blog. They are nothing short of a miraculous home renovation blogs of tricks and ideas. Liz hopes to share her love for houses through her blog. She offers tips on flipping houses and writes about other DIY projects and decorating ideas that she comes across. If you’re having second thoughts about home remodeling blogs for your own home, be sure to visit this site as Liz will convince you to act otherwise! Going by the motto “let’s give it a shot”, this husband and wife duo of Peter and Leslie bring to you one of the best home improvement blogs. The blog is a documentation their DIY adventures as they attempt to make the house they inhabit their own. Find interesting ways to repurpose your junk to create unique products and articles especially suited to the seasons! Discover tips on saving and budgeting for home improvement projects and make the bold decision of making one for yourself. As the name suggests, Ikea Hackers offers multiple ideas as well as hacks with the aim of modifying and repurposing your Ikea products. Hacks may be as simple as adding an embellishment, some others may require power tools, skill and ingenuity. From its rather unglamorous beginnings, the site has grown so much that it does not cease to surprise. It has worked its way into numerous ‘best home improvement blogs’ lists. Discover Bathroom, Kitchen, Living Room Hacks and plenty more. Find a never-ending list of Project Guides for your basement, bathroom, deck and patio and a whole lot of other areas. Get one project closer to your dream home with this blog. Engage in fun and easy DIY projects and develop the art of hand lettering with the help of detailed tutorials available on the blog. Charles and Hudson was founded in 2005 by Timothy Dahl. It provides tips on how to make your own cost-efficient kitchen counter, build a backyard privacy fence and lots more. Charles & Hudson is driven by the best in trucks, tech, tools, gear, and work wear. From building a picnic table of your own to gardening and making your own lawn, Charles and Hudson offer exciting ideas and plenty more for both the interiors and exteriors of your house. Four friends with a collective design DNA head Remodelista. They believe a mix of high and low — and of vintage and new — animates a space. Their style aesthetic favors classic and livable over trendy and transient; streamlined interiors over cluttered environments. It is minimalist but not monastic. Thoughtfully designed products are chosen over mass-market, disposable goods. What makes Remodelista one of the best home improvement blogs is their mission to provide well-designed homes for all. This blog could help get you inspired and can even help you find a firm to renovate and remodel your home. 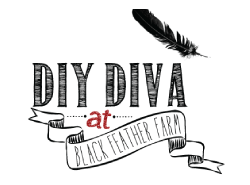 Kit at DIY Diva has been writing about her DIY and house-related adventures since 2004. The only rule she strongly believes in is to always tell an authentic story. This means things aren’t always pretty, aren’t always right, and aren’t always finished – but they are always real. View amazing home transformations with before and after photos of every home remodeling blogs / projects undertaken by Kit. RealSimple.com provides smart, realistic solutions to everyday challenges. It does this by combining the great service of Real Simple magazine with the fresh, interactive quality of the Web. Find solutions quickly with enhanced search and browse so you can find exactly what you’re looking for. Learn how to do almost anything by watching step by step instructional videos. Discover reviews of the best products you could be used to carry out your home improvement project. Tips on getting organized, decorating, putting a new twist on old things and lots more offered by the Real Simple blog. Erin, originally from Indiana, currently lives in the Atlanta suburbs with her husband and three young sons. She is the founder of the Atlanta Home & DIY Bloggers group, which has grown to over 200 members since 2012. The blog focuses on home decorating, DIY, and lifestyle topics. You will find decorating ideas, crafts, and DIY projects. These range from small craft projects to furniture builds and everything in between, as well as occasional travel posts. Do check out the project gallery for links to popular posts. Erinspain was founded on the belief that you don’t have to spend a fortune in order to have a beautiful home. Give your coffee bar a makeover, add an interesting new look to your dining room by introducing some mid-century styled furniture pieces. You could also learn how to make a DIY Lego table and add a fun new element to your home. Discover DIY outdoor and garden projects that will make your home come alive in spring on Erin’s blog. A Fashion Designer turned Interior Designer based in New York, Eduardo uses his blog as an outlet to share his thoughts and creative process and make his passion for great design contagious. His motto and inspiration for this blog come from the ingenious furniture designer Charles Eames who once said: “Ideas are cheap. Always be passionate about ideas and communicating those ideas and discoveries to others in the things you make.” Eduardo’s determination is responsible for The Designer Pad is one of the best home improvement blogs on the internet. He wishes to use this blog as an outlet to share his thoughts and creative process. Discover his modern, somewhat minimalist in style ideas in an attempt to transform a house into a space that is warm and inviting and at the same time is a beautiful reflection of the owner’s lifestyle and personality. Belinda’s blog, The Happy Home, strives to make daily life fun and creative. It records the never-ending, ever-changing journey of renovating, decorating and the success and sometimes failures of her home improvement projects. The blog features stylish DIY ideas, creative pursuits and projects and plenty more to create trendy livable and affordable homes. Stacy hopes to inspire one and all to create their dream homes with articles providing tips and tricks for indoor and outdoor spaces. Watch tutorials on home improvement advice and hacks. Do make sure to check out her Etsy store filled with plenty unique and imaginative products designed and made by Stacy herself. Tutorials include how to create an oyster shell ball, how to sew curtains with lining/interlining, how to build a fire pit amongst lots more. Jen along with her husband and mom started on this venture way back in 2007. It began as a chronicle of their adventures in transforming their semi-detached house in Toronto. It is especially suited to cater to a more transitional, classic style featuring white molding and trim-work, black hardware and vintage details. Jen provides a large range of articles on her blog. Join them as they experiment with power tools and continue to transform their home. Shelterrific began in March 2006 by founder Angela Matusik. Since then, they’ve written hundreds of posts, garnered thousands of comments, and attracted hundreds of thousands of visitors to the site. The blog is updated several times each weekday. Shelterrific covers just about every subject that is related to our homes. This includes decorating, cooking, entertaining, cleaning, crafting, organizing and more. Shelterrific hopes to make the most out of the places we call home. The blog also points you to the best products, ideas, and resources available. Register with a few details and be a part of their online community. Retrorenovation will provide you your daily dose of resources and design inspiration. Discover fun finds and a growing community of people all interested in cherishing mid-century and older homes. Their focus is, first and foremost, to help you find the products and resources you need to help remodel, renovate and decorate your house in authentic mid-century style. Increasingly, the blog features resources for pre-war and post-modern homes as well. Kate and Pam, the brains behind Retrorenovation are here to help you get the job done, doing the research so you don’t have to. Be it the interiors or exteriors, remodel and decorate your home in mid-century and vintage style with tips and ideas by Retrorenovation. 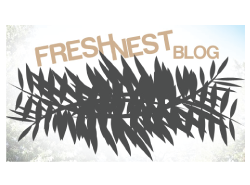 The creative force behind Fresh Nest Blog is Megan and her husband. It is a home improvement and DIY blog. The couple started Fresh Nest Blog to document all the trials and tribulations they would undoubtedly experience while buying a house and the process that followed. With some lofty renovation and remodeling dreams, in order to keep a record of the process, this blog was born. Pictures along with instructions for each of their home improvement projects will definitely ease the process and make things seem rather effortless. If you happen to be a newcomer to this area of interest, the blog has a few easy DIY projects to get you started. 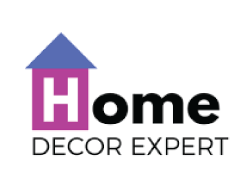 With an aim to provide the latest interior and exterior décor trends, Home Décor expert is the destination for design-savvy owners and interior designers. Find informative content related to home décor, home improvement, and home décor accessories on their blog. The solution to a cluttered home is not always to get rid of things. 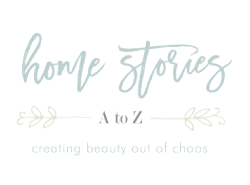 Home Stories believes in creating beauty from chaos and sharing these stories. Beth Hunter is the creative talent behind Home Stories A to Z. On it she mostly blogs about projects and best home improvements that she makes to her own home. The blog has a range of topics covered, consisting of decorating tips and tutorials, DIY projects, decor trend alerts, mantel link parties, occasional recipes, sponsored posts and giveaways. Beth also hosts a weekly link party on Tuesdays called Tutorials & Tips Tuesday and loves to feature fab projects from other bloggers. Do check out the Project Gallery where you will find some of the most popular posts and projects organized for you by category. Meet Mallory and Savannah, the brains behind Classy Clutter. The blog provides DIY ideas that will have you giving your furniture at home a complete makeover. Learn tips on Organizing and Home décor and buy unique products for your home. Once you visit the blog, you will definitely not feel like you’ve been let down! Bear witness to some of Ty Pennington’s award-winning, inspiring home makeovers as he transforms the lives of thousands and serves as the symbol of hope to families and communities all over America. This is exactly what makes his blog one of the best home improvement blogs there is. Find home improvement tips and tricks from James and Alicia as they attempt to make their house homier. Tips, tricks, and hacks. If there’s a way to do it easier, faster or cheaper, Homey Improvements will find it and then share it with you. Discover some common decorating tips and home improvement hacks to help you live your home lives to the fullest. Articles included are how to fix common garage door problems, how to clean and organize your bedroom closet, features to add while building a new home and lots more! Design Sponge, one of the best home improvement blogs, is a daily blog run by Grace Bonney. 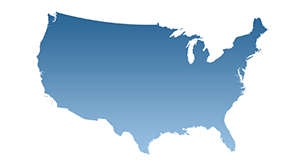 Launched in August of 2004, the site updates 3 to 4 times per day. Design Sponge focuses on the creative community, with the goal of making the art and design world personal. They don’t only cover beautiful homes, objects, and trends, but rather the people behind them and their struggles and real-life concerns. Grace believes that the idea of “home” is one that stretches beyond the furniture inside it. The site also includes discussions about larger cultural issues that affect the community. Create your own imaginative family home with different styles for every room with the help of tutorials and podcasts. Whether you are a newbie or a professional, the DIY section caters to all. It has filters pertaining to the level of difficulty, cost, materials, and technique. Roeshel from Butler, North Pittsburg, heads DIY Showoff. She has always had a passion for DIY, being creative, re-purposing things, designing and decorating spaces. A limited budget challenges Roeshel to be creative. Blogging evolved from a journal of her DIY before/after transformations into a full-time career. Her website is an eclectic mix of styles. Roeshel does what she loves, to create a home that perfectly reflects the personalities, interests, and lifestyle of the homeowner. Whether you’re looking to get inspired or inspire by sharing one of your own projects, DIY Showoff is just the perfect platform. An abundance of DIY tutorials for your home awaits you. 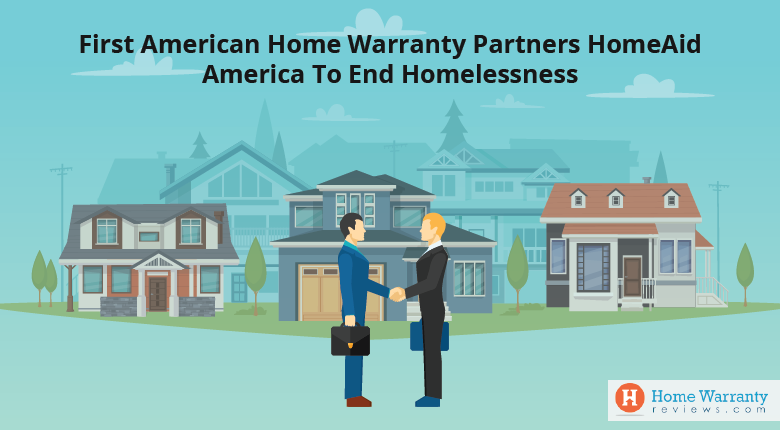 Moonworks Home operates on the single belief that every homeowner deserves peace of mind. 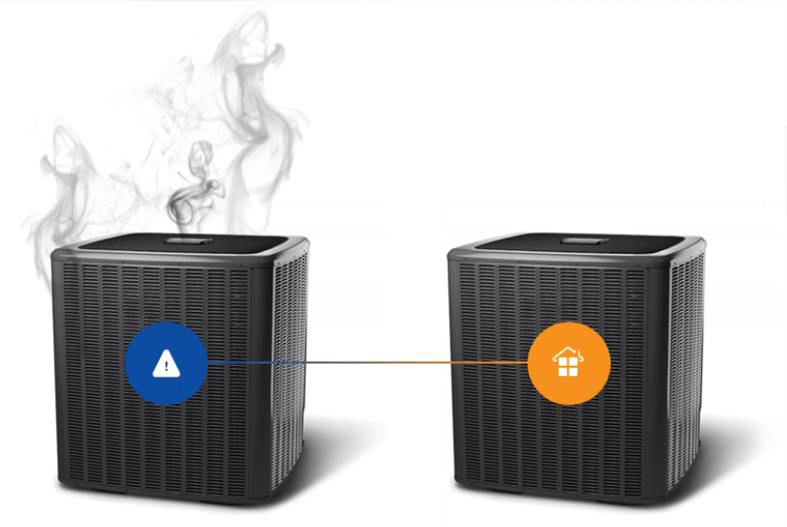 They set out to deliver this peace of mind to every customer, each and every day. A versatile blog that reads like a newspaper with posts that best suit the time of the year such as Cold Weather Resolutions for Your Home and the likes. Discover expert interviews and learn the secrets of the trade from only the best. 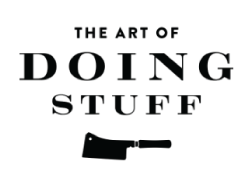 Bear witness and be a part of Karen’s journey on The Art of Doing Stuff. Watch her satisfy her cravings of hammering stuff, opening it, taking it apart, fixing it and recreating it to produce some awesome results. With this blog, Karen convinces her readers that things are not necessarily as hard as they seem to be. In the home improvement department, anyone including you could be doing as good a job as a hired handyman. If you do not have a major home renovation plan and wish to create your dream home by tweaking things periodically, then as the name suggests, this blog would be nothing less than perfect. Discover in-depth coverage of Dana’s extensive renovation project along with interior design ideas, DIYs and plenty more that inspires her. Stefanie started this blog as a way of documenting the renovation of her 100+-year-old limestone in Brooklyn, NY. This blog will navigate you perfectly to the department based on where you wish to carry out your renovation/remodeling ideas. If you are short of ideas, find articles that will inspire you in a jiffy! Building Moxie.com promises to help you do things together instead of doing it all by yourself! If you are already a Pro at home improvement plans, this blog has some exclusive tips, tricks, and information only for you. Be sure to find articles on how to grow a healthy lawn or step by step process of installing patio lights among plenty more. Founder Lynda Reeves with her super-team of experts have put together this blog. House and Home feature creative indoor and outdoor design ideas and videos that will help add a bit of edge to your home. Curbly provides a wide range of extremely handy DIY ideas. Find some amazing IKEA hacks and trendy makeovers for every space your home could possibly have. If you are thinking of embarking on a home renovation project, Curbly has an exclusive section giving a detailed, step by step process starting from scratch. Sarah at The Ugly Duckling House proposes do-it-yourself home improvement tips, tutorials and renovation realities. All of these have been tried and tested by Sarah herself whilst satisfying her never-ending urge to transform her house. With each new project, Sarah uses this site to keep a running log of knowledge in the hopes that someday this will help someone else. Sarah says her readers are sure to get brutal honesty about home ownership and remodeling from someone who is just like them. The Ugly Duckling House is featured on most ‘best home improvement blogs’ lists. Jump right in and begin the remodels you’ve been postponing, or even better – join the blogging revolution by starting your own! If you still haven’t got a clear idea about how to further improve your home, you can get some ideas from our articles about sprucing up your home, garden and appliances. Check out these home improvement trends for your home. Next Post:Does a Home Warranty Cover Roof Leaks?